Over a thousand miles…..that is a significant distance. But not for a business that is passionate about Startups especially when it comes to design and branding. That passionate business is Peralta Design. Peralta Design is a world-class design and branding company that specializes in Startups. The company was recently courted by Office Divvy –a Business Percolator based in Palm Coast, to expand into Flagler County with a satellite location. 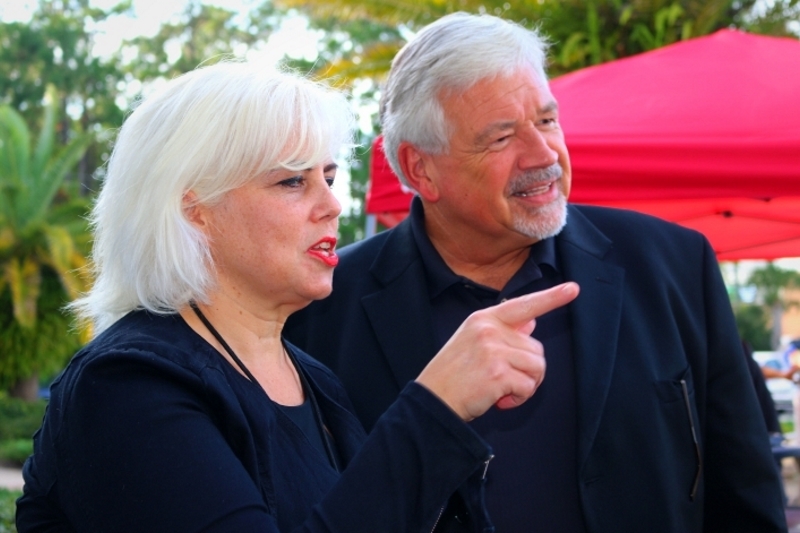 And this was big enough news which was acknowledged and celebrated in a Launch Party that held dozens of business leaders, Palm Coast Mayor Jon Netts, City Manager Jim Landon, and Flagler County Economic Development Director Helga van Eckert. 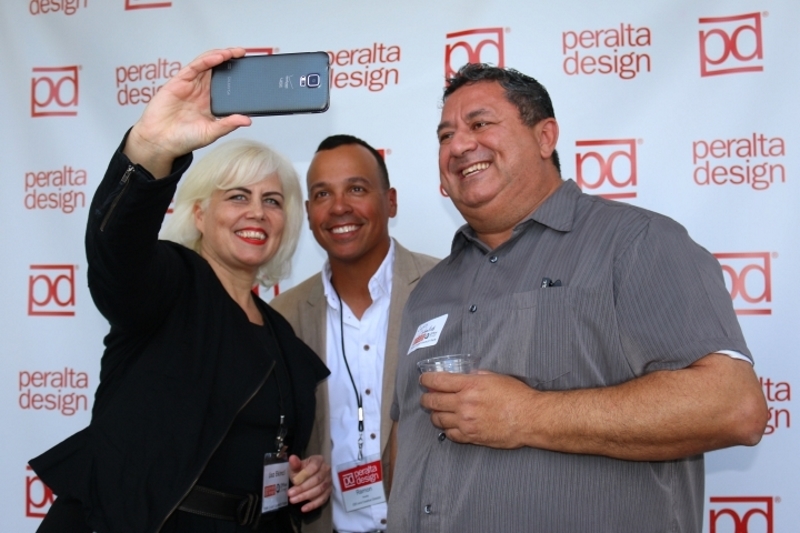 On September 24th, COWORK by Office Divvy was bustling with entrepreneurs and small business owners who were there to welcome Peralta Design and celebrate the launch of the company’s new satellite location in Palm Coast. The step-and-repeat banner next to the front door flapped gently in the light autumn breeze that is so common to us Palm Coasters, but maybe not so much for our new friends from Connecticut, where the wind is much sharper this time of year. For them, this might as well have been spring. The Willow Wacks, a hipstery band, helped add an inviting coffee-shop vibe while Auggie Dogs, a local street hot dog vendor, added that Northern Flare that the team at Peralta was more accustomed to; and an old-fashioned popcorn machine among the Peralta banners, with the Ultimate 90’s Party playlist sounding in the backdrop, made this event even more eclectic than usual. 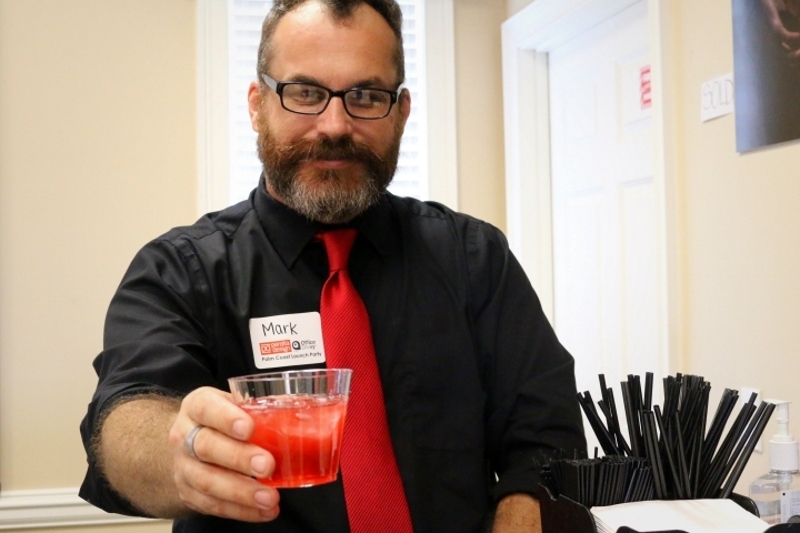 But popcorn was nothing compared to other hors d’oeuvres and the red Peralta Punch, the signature drink made for this event specially made by Fun Coast Bartending. 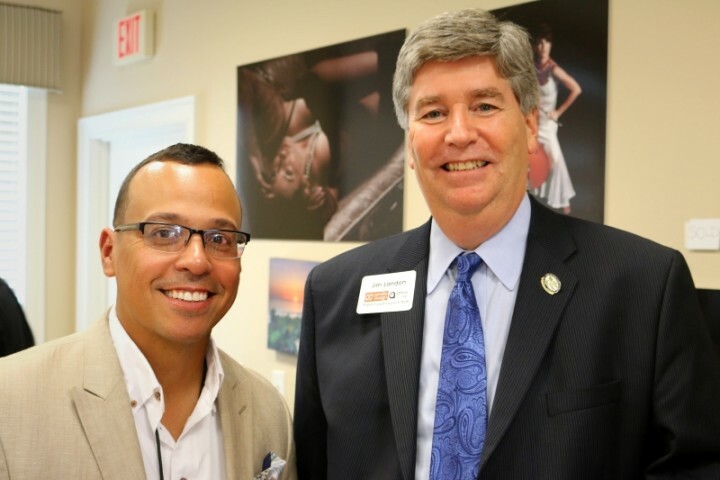 While Palm Coast fights with the past-reputation of being a retirement town, it’s truly filled with fresh, innovative, and driven entrepreneurs; and Ramon Peralta, Founder and Creative Director of Peralta Design, could feel it in the air. And they are….better yet, the relationship has more dimension than just business! 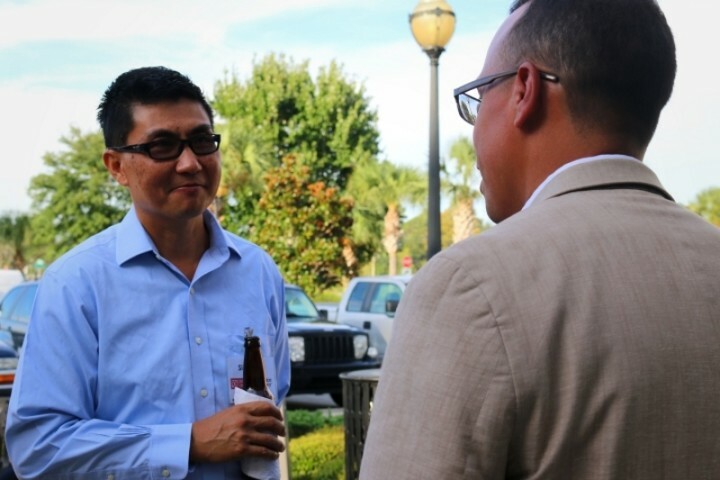 Peralta actually bought a condo in Flagler County, and decided he would expand his company here too – why not bring the business close to home? But how did all of this come to be? Before starting the company, Ramon Peralta worked freelance for a newspaper, in direct mail marketing, and later for Jay Walker – founder of Walker Digital and Priceline.com –yes, the same Priceline with the Negotiator. With the privilege of being able to work in the early stages of Priceline, he was able take ownership of the position: Senior Art Director, and enjoyed his job. Working with Walker, he grew a passion for entrepreneurship, because he experienced how, over the course of a year, a simple idea had turned into an actual company that is Priceline.com. Once that company launched, several people left Walker Digital to work for it, but Peralta stayed behind. For 10 years he worked with Walker, consulting people on their creative business ideas, trudging through a great deal of money, time, and effort – all for these ideas. That is the concept of Fail Fast, Fail Often for Success in business right there in Ramon Peralta’s statement. But sometimes the big success doesn’t come fast. The company went through financial difficulties and in 2008, Ramon was laid off. This isn’t the end of the story though, in fact it’s just the beginning – when one door closes, another door opens. If you have your own business, you know the difficulties of being entrepreneur. One of those difficulties is simply getting yourself known to your community. No matter how daunting the task may be, you still take pride in your business and work hard to ensure quality. If only people could see what your business is truly about, how dedicated, and passionate you are about your company through some sort of symbol. Well, believe it or not, they can! How? By looking at your logo, of course! If you’re not satisfied with your logo, submit it to Peralta Design. You’ll have a chance to win a redesigned logo by Peralta Design! If you win their “Worst Logo Contest” your logo will be taken to some of the best designers this country has to offer to capture the essence of your Flagler County business into one solitary image. Another project they worked on was for the Florida Department of Citrus. They needed a superhero who would encourage children to drink more orange juice. Peralta’s team came up with an orange that sported a green cape and wielded a mighty carton of oj named Captain Citrus. He came up with an origin story, the whole 9-yards. It was a neat idea, and apparently other people thought so too. Last year, Marvel Comics – yes, the Marvel Comics – bought and recreated Captain Citrus, and he has even made an appearance among the Avengers! 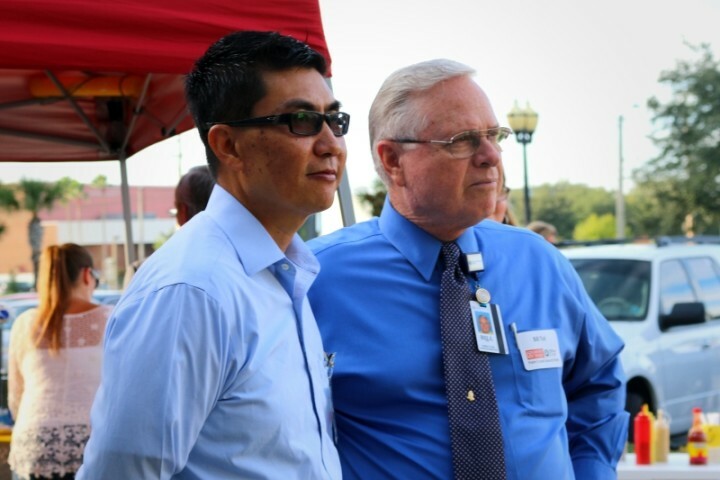 If that isn’t interesting enough, Peralta also had the privilege to meet with Warren Buffett – the third richest man in the world – on several occasions (whose net worth, might I add, is $66.7 billion). Peralta Design worked with Buffett on a design project for an animated series called The Secret Millionaires Club – a show about Buffet being a mentor to a group of entrepreneurial kids. These are only a few of accomplishments that the team of Peralta Design can proudly place on their extensive top shelf. They’re headed in the right direction, and Palm Coast gladly welcomes them to their new home.